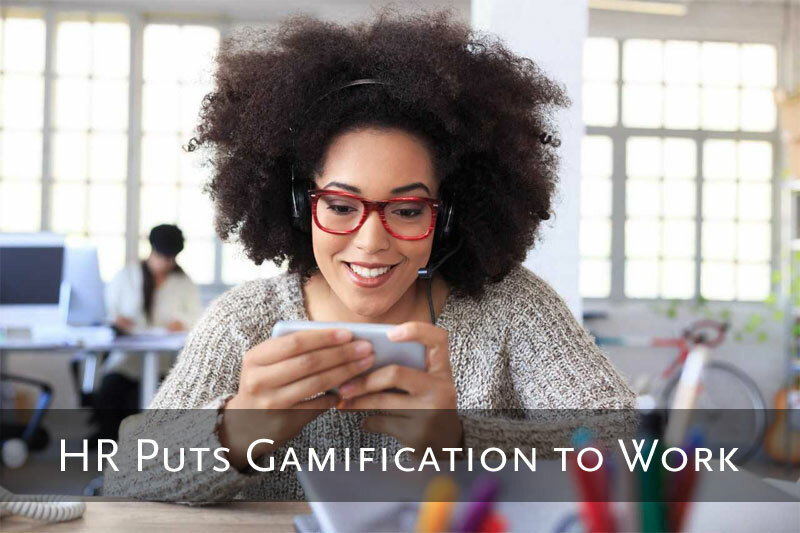 There’s a lot of buzz about gamification these days, particularly in terms of motivating Millennials and Generation Z employees entering the workforce. But gamification is more than fun and games or “kid stuff” reserved for young guns in Silicon Valley. Top-level business leaders in many industries now recognize that gamification in the workplace is more than a trend; it’s a powerful business tool when wielded correctly. According to Jeanne Meister, founding partner of Future Workplace, “Gamification takes the essence of games and applies these to a range of real-world processes inside a company. ”To drill the definition down: gamification is simply a method of incentivizing work by turning it into an engaging game. There are many examples of gamification in the workplace, and human resources teams are leveraging the tool as a way to attract, engage, train, incentivize and retain employees. Although applying the label of gamification is a newer way to describe certain motivational tactics, human beings have responded to the power of games for thousands of years. Ancient Egyptians played board games and sets of dice were found in excavations in Iran. Since the dawn of humanity, games have been a source of social engagement. In the business world, the concept of using competition in the workplace is not new. Today’s high-tech version of gamification has its roots in the use of sales quotas, leaderboards and key performance indicators (KPI). When a cross-functional team at Cox Communications set out to encourage employees to learn more about the company's products through engagement, recognition and skills building, Terese Farmen was determined to infuse fun into the effort. As the Recognition Program Manager, Terese succeeded by introducing gamification into the initiative. Upon launch, the first effort, Gamified Quizzing, garnered 50% participation among employees. Today, an average of 30% of employees play a game each month to learn about product knowledge. Employee product knowledge among the back office, non-customer facing employees has increased significantly for base offerings, technology changes and pricing strategies. The program is so popular that in the first half of 2018, 94% of all Cox employees received recognition for work tied directly to company goals and competencies. Some companies have achieved great success by integrating gamification into the recruiting process. PwC’s award-winning Multipoly, allows candidates to virtually test their readiness for working at the firm by working in teams to solve real world business problems. Gamification can also be used in the onboarding process and to sharpen the skills of your existing workforce. In addition to promoting employee engagement and product knowledge, Cox Communications uses gamification for some sales incentives and learning activities such as diversity and inclusion, living the Cox values and safety initiatives. Does Gamification Really Boost Engagement & Productivity? A recent Gallup poll reports employee engagement is sluggishly improving. Still, 51% of employees report they’re disengaged from their job and have been for some time, while 16% report they’re actively disengaged. Over the last decade, those numbers have barely changed. Employee disengagement is a huge problem leading to lower sales, poor customer service, higher turnover and decreased productivity. Gamification can be a new way to battle employee disengagement. “What makes gamification so effective is not the badges, tokens or even the friendly competition but it's the way it taps into our psychological need for implicit rewards. In fact, when employers use the power of gamification in the workplace, they see an increase in engagement and, consequently, an increase in productivity. Engaged employees outperform their peers by 147% in earnings per share. Gamification scratches the fundamental human itch we all hold for recognition and acknowledgement of a job well done. By fostering a culture where employees are consistently recognized for their hard work will improve engagement and productivity. Get in the game!